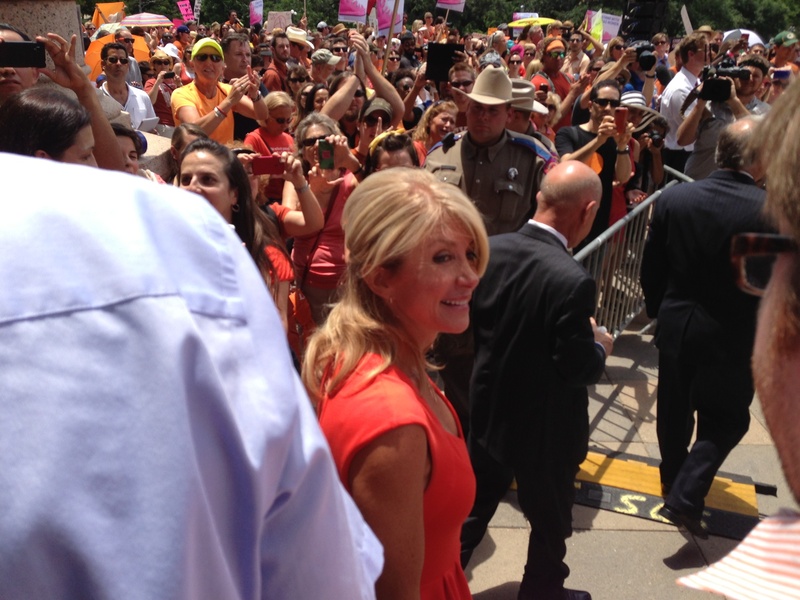 An estimated 5,000 demonstrators descended on the Texas Capitol today, with the majority expressing their opposition to new abortion restrictions that a Democratic filibuster led by state Senator Wendy Davis and raucous protests outside and inside the capitol derailed last week. 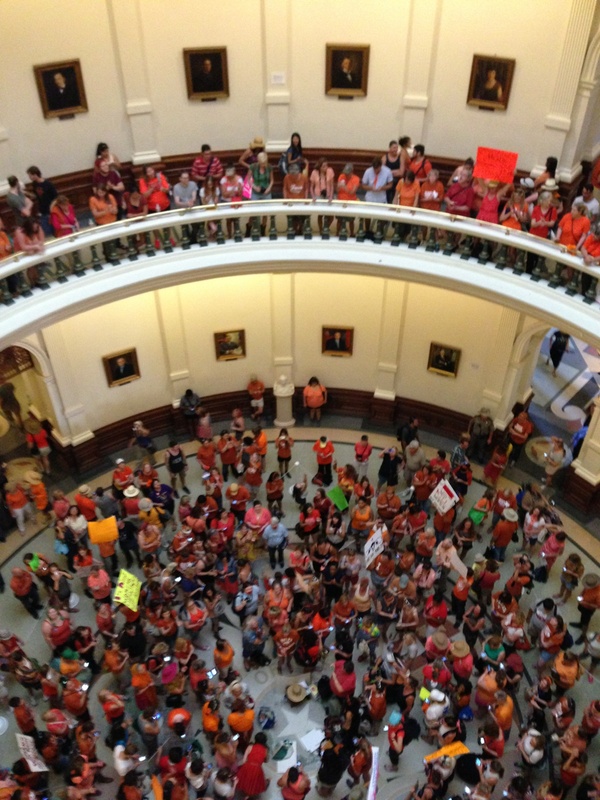 Today, Texas lawmakers convened a second special legislative session aimed at reviving the bill that would limit where, when and how women may obtain abortions in the state. 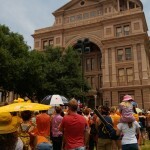 Supporters say it will protect women’s health, while opponents say it is designed to shutter the majority of the state’s abortion clinics. Whatever is said about this law, the GOP dominated legislature is determined to pass it during this special session. The session is also supposed to deal with a constitutional amendment for new highway funding and a juvenile justice measure that refines a no-parole provision for 17-year-olds convicted of capital murder in the wake of a U.S. Supreme Court ruling last summer that outlawed such sentencing schemes. A special session costs taxpayers more than $800,000. Each lawmaker is given a $150 per diem to cover food and living expenses per day during a regular or special session. The longer a special session goes, the more money will be spent. If the second special session takes a full 30 days, Texans could be paying legislators nearly $1.6 million. But the leadership has indicated that they are confident this session will not last the full 30 days as they railroad these three measures through. 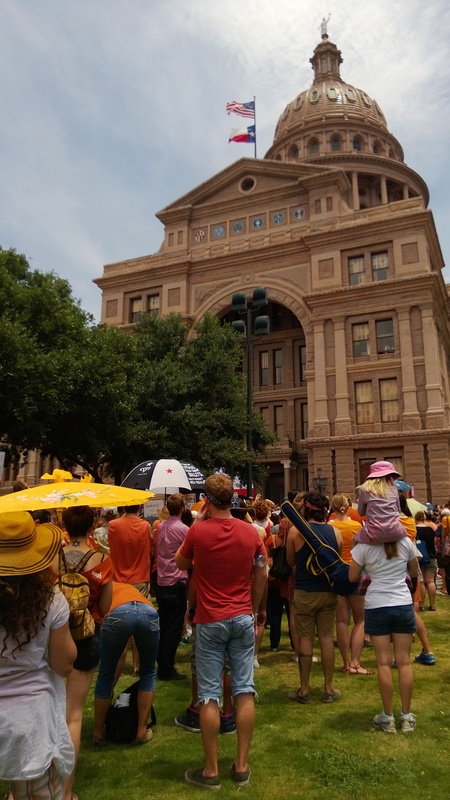 That being said, the house just posted a notice of public hearing to hear testimony on HB 2 by Representative Jodie Laubenberg – (District 89 R-Parker), Relating to the regulation of abortion procedures, providers and facilities. The hearing is scheduled in front of the House State Affairs Committee in the Capitol Extension room E2.030 at 3:30 pm tomorrow, Tuesday, July 2nd. The committee will receive testimony upon convening, until 12:01 a.m., July 3, 2013, and witnesses will be given 3 minutes for oral testimony. Written testimony is encouraged and appreciated. If you would like to provide the committee with written testimony, please bring 15 copies. The committee will be using the electronic witness affirmation system developed for the regular 83rd legislative session, and is available at registration kiosks located throughout the Capitol Extension. Registration must be performed the day of the hearing and within the Capitol Complex — however, you may create a profile in advance from any internet connection. 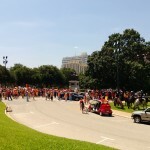 Please visit: www.house.state.tx.us/resources/. NOTICE OF ASSISTANCE AT PUBLIC MEETINGS: Persons with disabilities who plan to attend this meeting and who may need assistance, such as a sign language interpreter, are requested to contact Stacey Nicchio at (512) 463-0850, 72 hours prior to the meeting so that appropriate arrangements can be made. Since the hearing is in 24 hours, I guess that means persons with disabilities are out of luck. 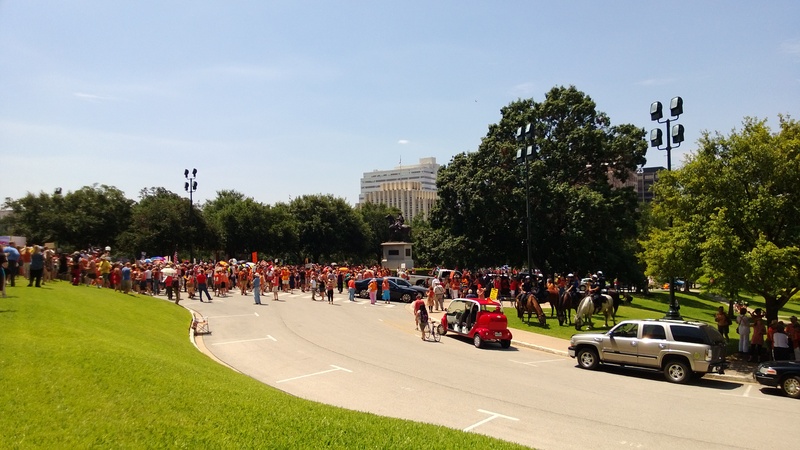 Despite the fact that the GOP leadership has told the world that this bill is going to pass, the spontaneous outpouring of support show by citizens from across the state has been a heartening display of democracy in action. The 83rd legislative session along with the two special sessions is a snapshot of how little our elected officials listen to what is important to Texans. Perhaps this time, there will be consequences. 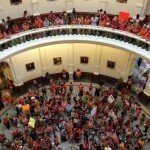 Inside the capitol after the rally.